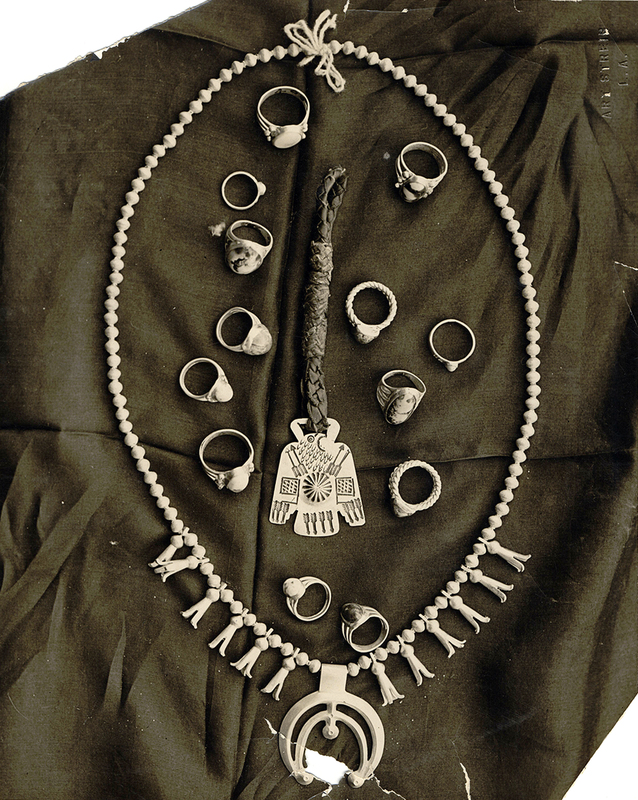 Silver jewelry fashioned by Navajo Indians living and working on the Harry Carey Ranch in Saugus in the 1920s — possibly by a silversmith named Earl Striker. It had some canned goods and stuff, and then beautiful Navajo rugs and Navajo jewelry there. Q: — that the Navajos made on the ranch? Yeah. Made right at the ranch. And a silversmith was there, too. [To Cappy Carey] Remember Earl Striker? DC2504: 9600 dpi jpeg from original print courtesy of Harry Carey Jr.